You are here: Home / Korg Digital Pianos / Korg D1 review: Better than the Korg B1 and Yamaha P-125? 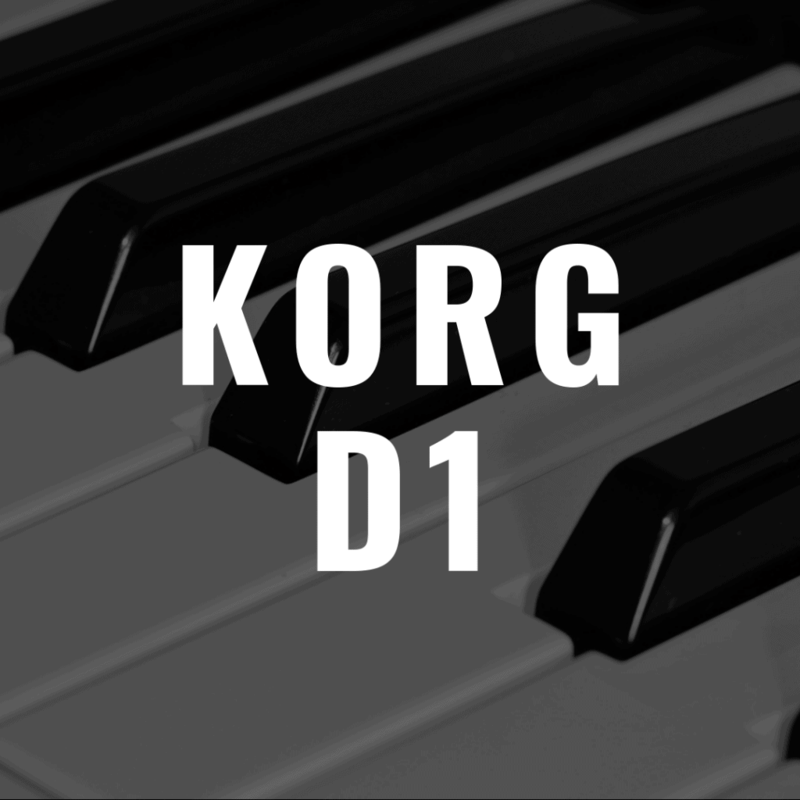 With the D1, Korg seeks to provide a world-class playing experience within an extremely portable, 35 pound digital piano. At a price of $950, the Korg D1 is sure to please would-be keyboardists who are on a budget. In this Korg D1 review, we’ll discuss everything you need to know about this digital piano, and also compare it to a few other budget-friendly pianos. In order to better help you, please check out the interactive guide below, which allows you to directly compare the Korg D1 to other noteworthy digital pianos on the market. The D1 is made with Korg’s RH3 (Real Weighted Hammer Action 3) keyboard. The keys feel heavier in the lower register of the G1 Air and lighter in the higher register, which replicates the feeling of playing on the keyboard of an acoustic piano. The inclusion of a weighted hammer action keyboard in this digital piano adds a level of realism to the Korg D1 and will make it easier for players who start their piano-playing journey on this instrument to eventually adjust to playing an acoustic piano. The RH3 keyboard is also extremely responsive to the player’s touch and captures all of the dynamics of the musician’s playing. This 88 key digital piano also recreates the damper resonance that is produced by the strings inside of an acoustic piano when the damper pedal is held down. Only the Korg D1’s Concert Piano, Grand Piano, and Jazz Piano sounds are capable of recreating the damper resonance sound. The D1 uses key-off simulation to recreate the sounds that are produced when a player lifts their fingers off the keys of an acoustic piano and the hammer’s inside the piano move off of its strings. Again, these subtle sounds add to the character of an acoustic piano’s sound. By combining the key-off simulation feature with damper resonance, the Korg D1 comes closer to recreating the experience of playing an acoustic piano than other similarly priced digital pianos likely will. All of the Korg D1’s piano and electric piano voices simulate the key-off feature of an acoustic piano. 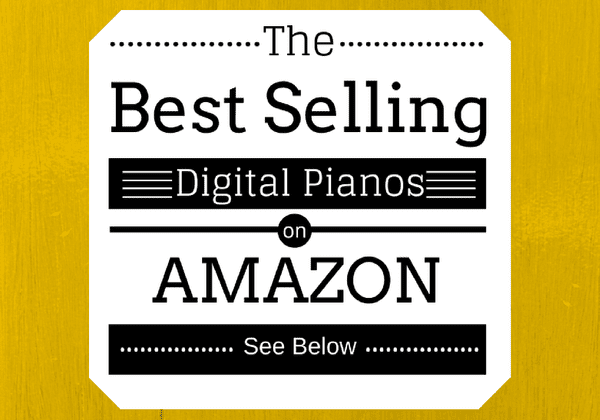 Below, please check out some of the best selling digital pianos on sale at Amazon, and see how well they compare to the Korg D1 as we progress through this review. This Korg digital piano comes loaded with 30 onboard voices, including six organ sounds and six electric piano sounds. The D1’s acoustic piano sounds switch between four samples, depending on the dynamics the player uses during his or her performance. Whether playing a dramatic fortissimo passage or a delicate pianissimo passage, the Korg D1’s sound responds to the player’s touch realistically and captures the nuances of the performance. The D1 comes with three effects: brilliance, chorus, and reverb. Players can choose between three levels of each effect in order to customize their playing. Brilliance lets musicians make their music sound brighter and sharper. Chorus adds a shimmering quality to the sound,and reverb recreates the sound that would be produced when playing in different spaces, like a small auditorium or a concert hall. The D1 has 120-note max polyphony. With this amount of polyphony, players can experiment with the three included effects, and they can play intricate chords and complicated runs without worrying about note dropout. A polyphony of 120 is a good working polyphony for the average player. Having more polyphony would certainly leave more room for a musician to grow, but 120-note polyphony will sustain players through their beginner and intermediate phases. Learn more about polyphony here. The Korg D1 comes with an included music rest and a compact-sized damper pedal. See what other musicians are saying about the Korg D1 here. At $599.99, the Korg B1SP is quite a bit cheaper than the Korg D1. The B1SP is marketed as an entry-level piano, so there are a few key differences between this digital piano and the Korg D1. The Korg B1SP has an NH (Natural Weighted Hammer) keyboard; like the RH3 keyboard, the NH keyboard is graded, which means that the keys feel heavier in the keyboard’s lower register and lighter in the upper register. Both digital pianos have 88 keys, so players have the piano’s full range at their fingertips whether they choose the Korg D1 or the Korg B1SP. The B1SP does not include damper resonance or key-off simulation. As such, players might find that the Korg D1 more accurately recreates the sound and feeling of playing an acoustic piano. Still, the three hundred dollar price difference might influence beginner players (or parents of beginner players) to opt for the B1SP over the D1. This digital piano has 8 onboard sounds: 3 acoustic pianos, 2 electric pianos, 2 organs, and a harpsichord. Eight sounds is definitely a step down from the D1’s thirty sounds. 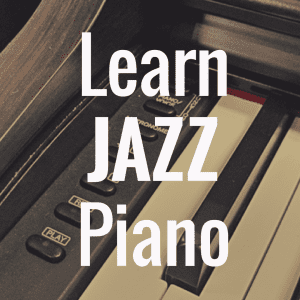 For those who simply want to practice the piano without experimenting heavily with other sounds, the three acoustic pianos will be more than enough. Like the Korg D1, the Korg B1SP has 120-note polyphony. Again, this amount of polyphony is sure to see players through the beginner and intermediate stages. 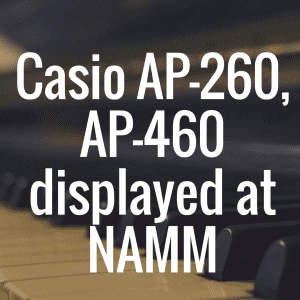 Players who eventually want to start experimenting with multiple effects, multiple sounds, and advanced chords might find themselves itching for another digital piano at some point down the line, however. The B1SP includes chorus and reverb effects, which allows players to somewhat customize the digital piano’s sound output. The Korg B1SP comes with a stand and a full complement of three pedals. Here, the B1SP wins out over the D1. The Korg D1 only comes with a compact-sized damper pedal, so players who buy the D1 and want a bigger damper pedal or either a sostenuto or soft pedal should expect to have to spend a few extra dollars on additional pedals. Overall, however, the Korg D1 is a more accurate recreation of an acoustic piano. The damper resonance recreation and key-off simulation will especially appeal to those who have played on an acoustic piano before, but those who have never played an acoustic piano before likely will not miss the added realism of damper resonance and key-off simulation. The 88 key Roland FP-30 is another competitor of the Korg D1. At $899.99, the Roland FP-30 is only slightly cheaper than the $950 Korg D1. The FP-30 is built with Roland’s PHA-4 Standard Keyboard, which tries to recreate the feel of playing on an acoustic piano. The PHA-4 Standard Keyboard is built with Ivory Feel keys that are topped with synthetic ivory in order to more closely simulate the feel of an acoustic piano’s keys. This keyboard also uses Roland’s escapement feature; this feature recreates the slight clicking of an acoustic piano’s keys. On an acoustic piano, the escapement feature is typically only noticed when playing pianissimo passages, so the FP-30’s escapement might not be all that important to the casual player. The piano voices within this digital piano were developed with Roland’s SuperNATURAL Piano sound engine. As such, the Roland FP-30’s piano voices are rich and realistic. In total, the FP-30 contains 35 onboard sounds: 6 pianos, 7 electric pianos, and 22 other sounds, like organs and strings. String resonance, damper resonance, and key off resonance are always on and add a level of realism to the Roland FP-30’s piano voices. The Roland FP-30 has 128-note polyphony, which is not all that significant of a jump from the 120-note polyphony of both the Korg D1 and the Korg B1SP. Overall, the Korg D1 and the Roland FP-30 are extremely similar. Those who want a few more onboard sounds to play with (five more to be exact) should probably go with the FP-30. The best way to decide between these two digital pianos, however, is to actually play them yourself. If it is not possible to try both of these before deciding which one to purchase, the next best thing is to see what other keyboardists are saying about them. 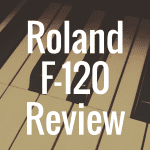 Read what other musicians have to say about the Roland FP-30 here. The Korg SV1 is available as a 73-key model and as an 88-key model. The 73-key SV1 is $2,100, and the 88-key SV1 is $2,380. The Korg SV1 is, by far, the priciest digital piano included in this article. To those who decide to go with the Korg SV1, I recommend buying the 88-key model so that you have the full range of a piano’s keyboard at your fingertips. This digital piano, like the Korg D1, is built with the brand’s RH3 Real Weighted Hammer Action Keyboard, so the keys feel lighter in the high end than they do in the low end. The Korg SV1 comes loaded with 36 onboard sounds, including a Japanese Grand Piano, German Grand Piano, Authentic Upright Piano, vintage electric pianos, clavichords, organs, and strings. All of this digital piano’s sounds were developed with Korg’s RX (Real eXperience) Technology, so all of the onboard voices are authentic, detailed recreations of the instruments that they imitate. 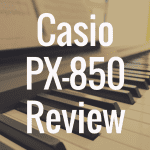 This digital piano has 80-note max polyphony. For its price, the SV1’s polyphony is astoundingly low. At this price point, there are digital pianos with polyphony ranging from 256-note to unlimited polyphony, so the SV1 definitely loses points here. The Korg SV1 offers more effects than any of the other keyboards listed here. However, with its limited polyphony, it likely cannot support multiple effects without leading to note dropout. Note dropout is when the digital piano cuts the sound of some notes in order to work within the limits of its polyphony. The SV1’s effects include chorus, reverb, flanger, and delay. Overall, the Korg D1 earns 4 out of 5 stars. 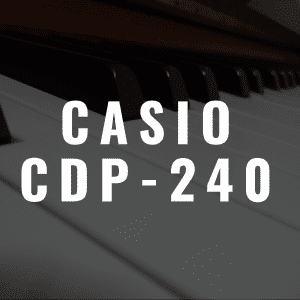 This digital piano is great for beginners and is pretty budget friendly. Korg also made sure that this digital piano is easily portable, so it will certainly appeal to those who want to take their piano-playing skills to the stage. The D1’s keyboard is a decent recreation of an acoustic piano’s keyboard, too. This digital piano’s keyboard is graded, but Korg takes it to the next level by including key-off simulation and damper resonance. Additionally, the Korg D1’s 120-note polyphony is capable of seeing players through the beginner and intermediate stages of their piano-playing journey and can support the use of the digital piano’s chorus, brilliance, and reverb effects. For those who are a bit more financially restricted, however, the Korg B1SP is likely the best bet. The B1SP is labeled as an entry-level piano by Korg, so it is perfect for those who simply need a digital piano on which to practice their newfound skills. This slightly cheaper digital piano offers the same amount of polyphony, but it does not have the same variety of sounds that the D1 has to offer. Again, it would be a great choice for those who only want to practice with its included piano sounds. Ultimately, all of these digital pianos are worth investing in. However, the Korg SV1 seems like the weakest choice out of the digital pianos listed here. With significantly less polyphony than all of the other keyboards mentioned in this article, the SV1 hardly seems worth roughly double the price of the other digital pianos. The best way to decide which of these digital pianos is right for you, of course, is to try them out. 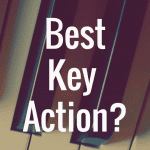 Be sure to pay attention to the feel of the keys and the ease of navigating through and choosing sounds and effects.